Assisting our customers to better organize and utilize space is made possible by having a full product line covering all aspects of the industrial and commercial shelving market. Whether an industrial or warehouse setting, an institutional location, or even a corporate office, our shelving products can address whatever your material handling or storage requirement may be. 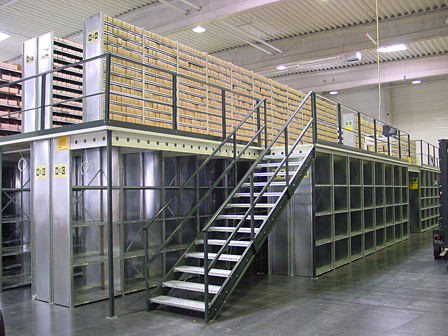 Our variety of different shelving products can be application specific and tailored for particular requirements.